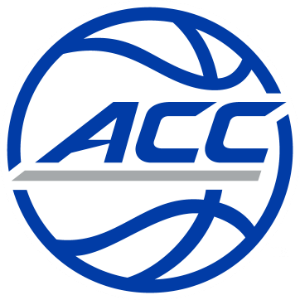 North Carolina junior Justin Jackson has been named the ACC Basketball Player of the Week, while Miami’s Bruce Brown claimed Freshman of the Week honors. The weekly honors are the second of the season for both players. Jackson led UNC in scoring with 20-plus points in wins last week over No. 7 Louisville and at Pitt, as the Tar Heels clinched the No. 1 seed in next week’s New York Life ACC Tournament and at least a share of the conference-regular season title. Jackson had a game-high 21 points with five rebounds, two assists and two steals against the Cardinals, and a game-high 23 points with six rebounds and two assists at Pitt. Jackson connected on nine 3-pointers in the two wins – going 4-of 9 (.444) against Louisville and 5-for-11 (.455) versus the Panthers. The forward from Tomball, Texas, was 9-for-20 from 3-point range for the week. The 21- and 23-point games were his 15th and 16th of the season with 20-or-more points. Jackson has led UNC in scoring 12 times in ACC play this season. Brown keyed Miami to two wins against nationally ranked teams last week, knocking down the game-winning 3-pointer in overtime at No. 18 Virginia, then scoring 25 points in the Canes’ win over No. 10 Duke. The 6-foot-5 Brown had 25 points, four assists, four rebounds, two blocks and two steals in 36 minutes versus Duke. Brown shot 11-for-18 from the floor and had four assists. He scored or had the assist on nine of Miami’s first 11 field goals. At Virginia, Brown hit the game-winning dagger, a 3-pointer with 19 seconds left in overtime. He finished with 14 points, three rebounds, two steals and a block. For the week Brown averaged 19.5 points, 3.5 rebounds, 2.0 assists, 2.0 steals and 1.5 blocks in 40 minutes per game while shooting .520 (13-for-25) from the field and .917 percent (11-for-12) at the line.